entertainment | Scholar Hero Blog | Geniuses Welcome. 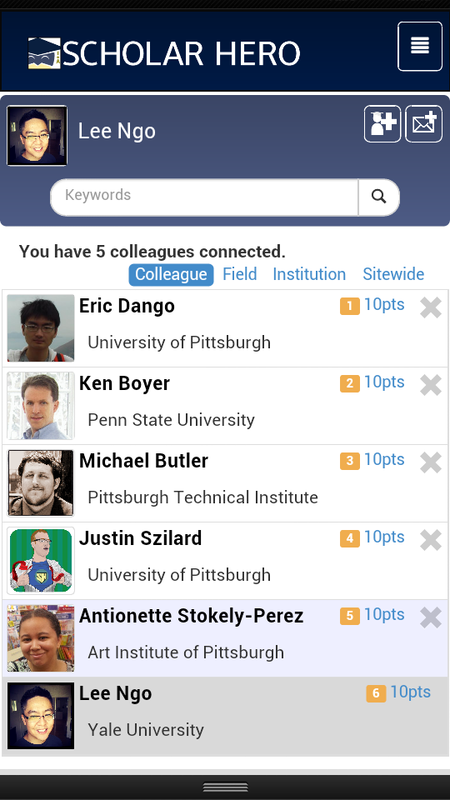 At the end of February, Scholar Hero will come to the end of its term in the Entertainment and Ed Tech Accelerator Program hosted by Idea Foundry, one of the leading investing entities in innovation and technology in southwestern Pennsylvania. The experience was a truly blessed one. We now realize the importance of accelerators in communities that hope to stimulate their regional economies and encourage ambitious people to forge something real and sustainable. Pittsburgh is truly lucky to have so many of these entities (a lot of them not-for-profit, no less), and we are more than honored to be a part of them. 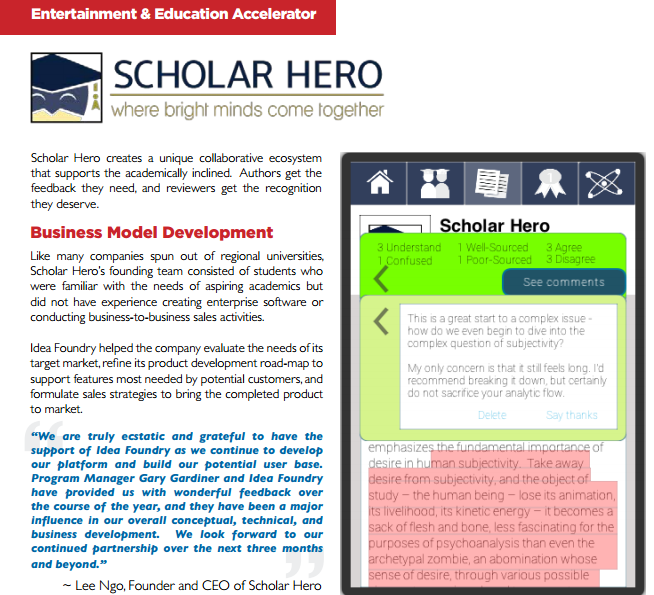 A little preview of Scholar Hero: Version One! Our hope is that Scholar Hero has met the high expectations of the Idea Foundry and will want to continue this fruitful relationship in the future. 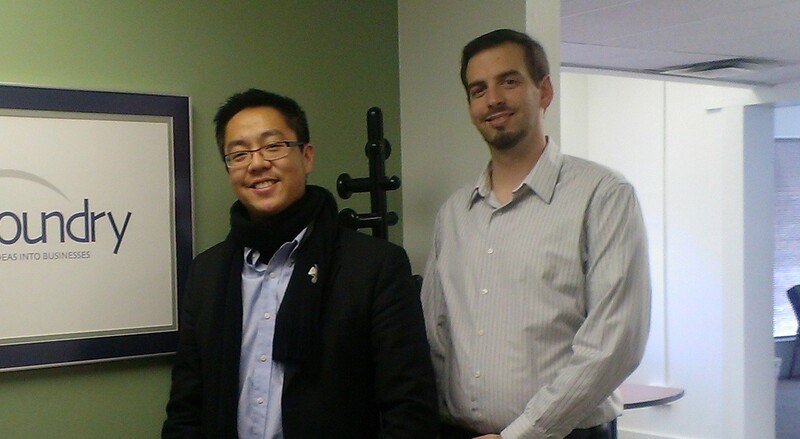 Without their boost of confidence, funding, and networking, our company would certainly be in a very different place. 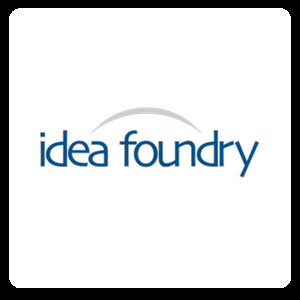 For more information about the Idea foundry, and their Entertainment and Ed Tech Accelerator Program, visit www.ideafoundry.org or follow this link.